The movie, The Hunger Games, comes out in theaters this Friday. It is the first installment based on a trilogy of Young Adult books of the same name. I had been aware of the books for awhile, but since I have a thing against kids getting killed, I was naturally turned off by the bloody premise of a televised game show where kids must fight to the death. However, then I saw the trailer for the movie and decided to give the books a shot. And I’m really glad I did. For those who aren’t familiar with the trilogy, the basic plot is set in a dystopian future, where an oppressive country called Panem rules ruthlessly over its twelve outlying districts. As a sick and continued punishment for a long ago rebellion, each district is required to provide a yearly “tribute” of a young boy and girl to participate in a televised slaughter for the amusement of the citizens of “the Capitol.” The Capitol is filled with wealthy, privileged citizens who benefit from the labor and the oppression of the districts. Because they live in such an insulated, comfortable world, the populace of the Capitol are generally oblivious to the suffering around them. Instead, they divert themselves with frivolity. They focus an obscene amount of attention on their appearance, embracing over-the-top fashions such as skin-dyeing and elaborate make-up and hairstyles. They spend their time attending parties full of every food one can imagine…and take vomit-inducing pills so that they don’t have to stop eating when they are full. And they are so desensitized to the suffering around them that they divert themselves by watching children slaughter each other. After they’ve exhausted the topic of the Quarter Quell, my prep team launches into a whole lot of stuff about their incomprehensibly silly lives. Who said what about someone I’ve never heard of and what sort of shoes they just bought and a long story from Octavia about what a mistake it was to have everyone wear feathers to her birthday party (Catching Fire 37). We don’t dye our entire skin, but we do tattoo and tan it mercilessly. We may not have as outrageous fashions as they do, but we definitely focus a lot of attention on superficiality and appearances. Vomit-inducing pills may not be en vogue, but gluttony certainly is. And while we don’t watch shows where people die, we do love ones based on physical (Wipeout) or emotional (The Bachelor/Bachelorette) suffering. Even though the contestants are volunteers, what does it say about us as a society that these shows are hits? I try to imagine assembling this meal myself back home. Chickens are too expensive, but I could make do with a wild turkey. I’d need to shoot a second turkey to trade for an orange. Goat’s milk would have to substitute for cream. We can grow peas in the garden. I’d have to get wild onions from the woods. I don’t recognize the grain…Fancy rolls would mean another trade with the baker, perhaps for two or three squirrels. As for the pudding, I can’t even guess what’s in it. Days of hunting and gathering for this one meal and even then it would be a poor substitute for the Capitol version. What must it be like, I wonder to live in a world where food appears at the press of a button? How would I spend the hours I now commit to combing the woods for sustenance if it were so easy to come by? What do they do all day, these people in the Capitol, besides decorating their bodies and waiting around for a new shipment of tributes to roll in and die for their entertainment? (The Hunger Games 65). The question she wrestles with here is one that, paradoxically, I also wrestle with a lot, as a citizen who lives in a similarly privileged environment: What do I do with my time? It’s funny because I don’t feel like I have a ton of time laying around. And yet, Katniss’ thoughts here reminded me that I don’t have to go out and get firewood to start a fire over which to cook. I don’t have to kill (or grow) my supper. I have electricity. I have running water that comes out hot and cold on command. I have a washer and dryer and dishwasher. I wonder how many hours a day these blessings give me, hours that others do not have. What do I do with those precious hours? Do I dedicate them to pursuits that are unworthy or meaningless? Of course, a lot of my time on Facebook could easily qualify as unworthy, but even besides that, this book made me pause and consider the things that I normally don’t question as valuable. It made me think that, in the grand scheme of things, some of my “worthwhile” pursuits are less valuable than I imagine. For example, how clean does my house need to be in order to be healthy and functional? Does it really need to be free of dust bunnies, or could I spend more time writing cards to the sick? That’s just one example, but there are several things like that in my life. 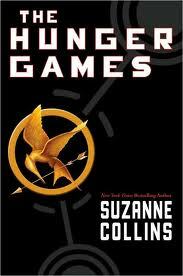 Reading The Hunger Games, then, challenged me to use my privileged time to further God’s kingdom, instead of my own agenda. After the Games, Katniss is required to learn some sort of talent. It is comical because she has spent so much of her life trying to survive that she has come to see most hobbies and “talents” as frivolous. She chooses clothing design, but never has the slightest interest in it. 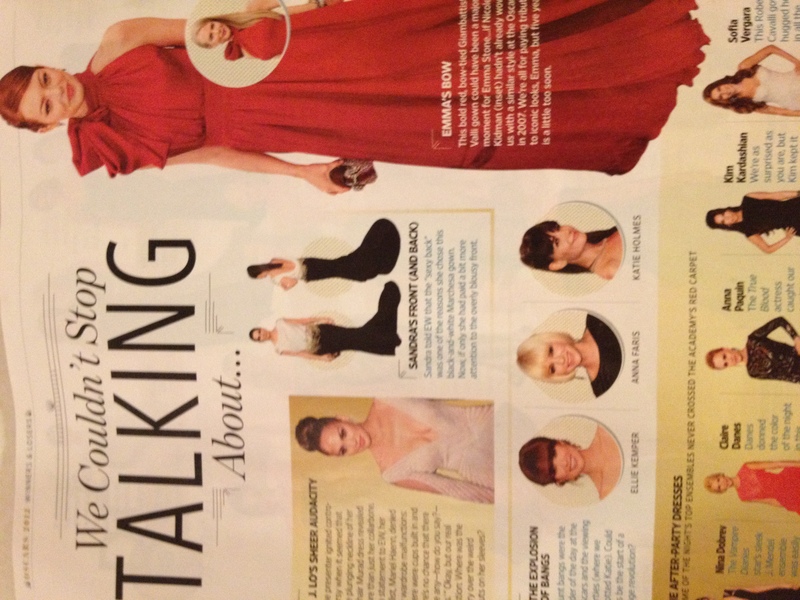 In contrast, her stylist, Cinna, is passionate about design. As a citizen of the Capitol, he has had opportunities to pursue skills that aren’t necessary for survival. What is instructive for the reader is how Cinna chooses to use his privileged passion. Without giving too much away, he uses his skill in order to help the cause of the oppressed around him. He uses Capitol privilege to challenge Capitol culture. Similarly, I have been privileged enough to pursue passions that are not necessary for survival. For example, I like to write and to record things. Had I been born into a third world culture, I probably would not have been able to exercise those passions, as I would have too few resources and would be spending too much time trying to stay alive. But Cinna’s example challenges me to use my passions in a way that further God’s Kingdom. It also opens my eyes to a truth I haven’t been able to see about Jesus and His call to us. So often, I think that Jesus wants me to renounce my position of privilege and to become like the poor. (To be fair, I tend to get this idea from the Man Himself, who seemed big on rich people selling their stuff to provide for the poor.) But thinking of Cinna made me realize something about Jesus: He did not renounce His God-given gifts. Jesus had power. He had the power to heal people and to know people’s thoughts. The great majority of the world could not do that. Even so, Jesus did not give those things up in order to become like everyone else. Instead, He used His power in order to help those who could not heal themselves. Maybe this is a false analogy, but to me, having privilege is like having power. God placed me in this position, and I don’t glorify Him by turning my back on what He gave me. Instead I glorify Him by using it to further His Kingdom. The Hunger Games really opened my eyes to these gifts of time and passion that I have been given. They made me understand that my time and passion are part of life in a privileged culture. And they challenged me to use my citizenship in the Capitol for the good of all the world’s citizens, not just my own. That’s pretty good, for a young adult trilogy! Have you read The Hunger Games? What did you think of them? I haven’t read them, but your description of Capital life sounds an awful lot like the decadence and cruelty of Roman culture in the days of the Empire. It’s like looking at history but set in the future. *I’m for it, in case anyone was wondering. I lol’ed at your asterisk. As you alluded in your response, I think that concept of using privilege for good ties into your recent post at theradicaljourney.com, as well as to the critical discussion surrounding Kony 2012. It’s weird how this concept keeps popping up for me. Kim, do you think things keep popping up because God wants you to keep thinking about them? Because that’s what I think is happening sometimes when the same thing is constantly being brought before me. P.S. You know what else is funny about asterisks? Their shape. And their name, too. Just say asterisk out loud and I bet you can’t help grinnning. Go ahead and try. Say it loudly or with a funny accent and you’ll probably laugh too. Asterisk! P.P.S. Which also reminds me of another piece of fine literature, the Asterix and Obelix stories. Now those guys are funny! I wholeheartedly agree with this take on the Hunger Games! Thank you for such an insightful, intelligent review. Reading this series really challenged me to think beyond my world of comfortable American life; to truly acknowledge the impoverished, bleak, violent reality many people experience all over the world. Places like North Korea, Haiti and Sudan come to mind. My heart just aches for those places. While I was reading I just kept thinking “These kinds of things are going on right now around the world, people are being treated just as horribly, this is such a wake-up call.” The Hunger Games is a very dark, brutal and an “uncomfortable” read, but I think the timely messages about sacrifice, compassion, love, our voyeuristic culture, coming to terms with loss and the realities of war/violence are too important to ignore. And I love the character Peeta, he is such a wonderful example of light shining in darkness. I definitely think it’s way more of an adult book than young adult, but with parental guidance I think this series opens up a whole host of discussions on important topics and how they relate to living a life for Christ in a lost world. I’ve read a couple of reviews of the Hunger Games from other Christians who just dismiss the whole series on account of the violence and the fact that God is never explicitly mentioned in the pages, and I just really disagree with that approach. I am sometimes weary of Christians burying their heads in sand in regards to media that deals with controversial (albeit important) issues, but people have different convictions. And oh my goodness! That magazine page is crazy, it looks like it came right out of a Capitol magazine. Such a great illustration of the parallels between the Capitol and the current privileged Western world! Kendra, first of all, thanks for stopping by! Secondly, yes! I completely agree about the way this series should remind us of the REAL atrocities that are happening all around us in this world. And I completely agree with your comment about our culture’s voyeurism. With social networks and reality tv, I think we have hit a new level of vicarious living. This series really did a good job of shining a light on all sorts of issues that are unpleasant but necessary for Christians to think about. As a Christian, I do hate violence; in fact, that’s what kept me from the series for so long. I can hardly even stomach the procedural dramas on television like CSI and (shudder) Criminal Minds. But I definitely thought the violence in these books did much, much more than just to satiate some sick desire to watch train wrecks (metaphorically speaking). For me, it was very eye-opening and motivational; it challenged me to do what was in my power to be a light in the darkness (a la Cinna and Peeta). Greg and I got to see the movie last night. In general, we enjoyed it, although I really can’t imagine someone liking it who hasn’t read the books. Without the background that the books provides, I thought that the character development in the movie was really weak. For example, I would not have understood the relationship between Katniss and Peeta at all, just from the movie. Nor would I have fully appreciated Haymitch; the book fleshes him out so much more. I think one of the problems is that the book itself often felt rushed to me, and I longed for more communication between the characters (especially Katniss and Gale), as well as more information about the experiences of other characters besides Katniss (for example, I really wish we had seen the reunion between Katniss and her family and Gale in the books. Some conversations between them explaining the perspective of the Games from District 12 would have been nice.) And when you take a rushed book and shorten it further into a two hour movie, some crucial character development is bound to fall by the wayside. So that’s the negative. The positive is that the actors were great. Other than the fact that she looks nothing like a starving 16-year-old, Jennifer Lawrence was phenomenal in the lead role, and her facial expressions went a long way in explaining Katniss’ motivations and thoughts to the audience. Elizabeth Banks was pitch perfect as Effie; she nailed it. And I didn’t think it was possible to love Cinna any more, but Lenny Kravitz got me to do it. He is the one character to whom the movie fully does justice. Well, him and Effie. Liam Hemsworth didn’t have much to do as Gale in this installment, but he sulked appropriately. And while Peeta’s character in the movie has been criticized, I thought that Josh Hutcherson captured well his enigmatic nature, and I could see from the movie why Katniss didn’t know what to think of him. Rue was so adorable, Cato was close to what I pictured (though more handsome than my mental approximation), Glimmer was perfect, and Thresh was great. I pictured Clove as a blond, but Foxface was right on. In addition, I liked almost everything the movie added. I loved the fleshing out of Seneca Crane’s character (played excellently by Wes Bentley), I loved the added scenes with President Snow (especially the one where he explained the balance between hope and fear), and I loved seeing what went on behind the scenes with the Gamemakers. I also loved seeing Haymitch’s intervention and the few added scenes where you get to see the reactions in the districts. I even like that District 11 revolted after Rue’s death instead of sending Katniss bread; their revolt showed how incendiary Katniss’ actions in the Games really were. When I first read the book, I was honestly shocked that Snow viewed her as such a threat after the Games; the movie does a good job of showing why he was right to do so. (Although, I have read other critics’ protest that by having District 11 revolt instead of sending bread to Katniss, the movie misses one of the few times where grace and love triumphs in the book. To a degree, I can see that; however, the revolt better captures the tone of the book). I even thought that the added interview with Crane at the beginning, as well as the video shown at the Reaping, both gave insight into how the citizens of the Capitol could buy the lie that the Games were a good thing. Um…I think that’s all I have (for now:)). I will say that both Greg and I were disgusted by the people who wished for the movie to have been a hard R, in order to “better reflect the book.” Seriously, you wanted to see the brutality of the Games up close and personal on the big screen? You would have found that entertaining? And how does that make you different from the citizens of the Capitol exactly? To me, it would have been beyond ironic if the movie had exploited the violence of the book for our own sick entertainment. I’m so glad that they chose instead to focus on the message, rather than the brutality. So that’s my take on the movie. I’m interested to see what others thought! I didn’t read the other comments because I haven’t seen the movie. I just finished the first book. The book never approves of the hunger games. Katniss hates the situation. She is never cruel when she has to kill and only kills one person directly. But she is in the situation because of her self sacrificial love for her younger sister…a great example for all of us. Most of the violence is left to your imagination. The book also brought to mind another situation of paying tribute to a conquering nation…the young Athenians sent as sacrifices to the Minotaur in Crete. I’m still thinking about this. Thanks for the thought-provoking analysis & comments, of both book and film. The only point I’d want to add is the crucial link between government and entertainment. I will keep thinking about it and then maybe post some more. In the meantime, Panem et Circuses! Nick, I hope you refine those thoughts because I would love to hear them. The government-entertainment connection seems interesting, but I’m having a hard time anticipating your angle. Would love to hear more! I really enjoyed reading this. Thank you for thinking it through and sharing it! I might link it to my blog if that’s ok with you!